An elegant, curved appearance effortlessly suits any home. The double glazed window allows unobstructed viewing of the flames, creating the perfect feel of a flickering log fire in your home. An impressive energy efficiency rating delivers heat effectively. 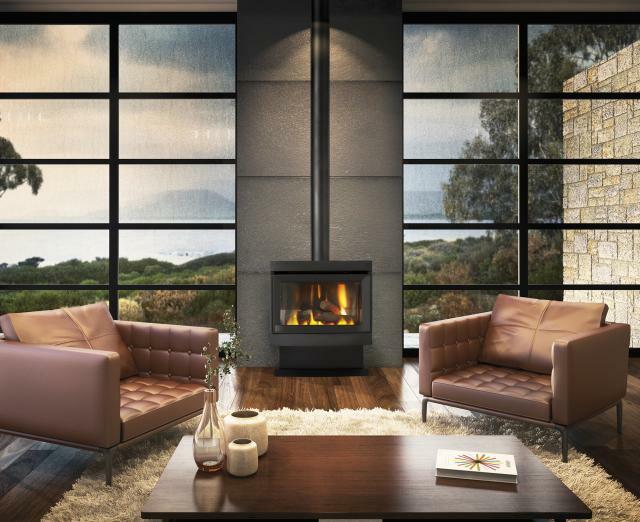 The heater can be safely placed on all floor surfaces, making it suitable for the family rooms and large living areas of modern Australian homes.